NDO – On January 12, the Ministry of Culture, Sports and Tourism announced the top 10 culture, sports and tourism events in 2018. These events were selected from 61 nominations from functional agencies and units under the ministry, including 40 events in culture, 11 sporting events, and 10 tourism events. The events were then finalised through an online poll, which took place from January 3 to 8 at http://sukienvhttdl.bvhttdl.gov.vn, and through votes by journalists representing media agencies across the country on January 9. 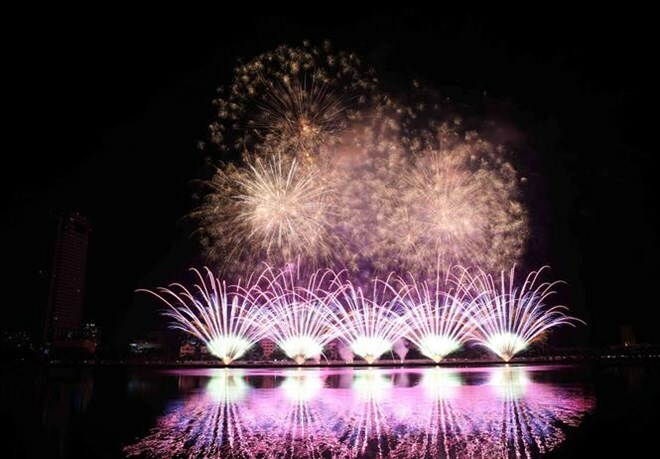 The Da Nang International Fireworks Festival (DIFF) 2018 was held from April 30 to June 30 in Da Nang city under the theme “The Legend of Bridges”, attracting eight teams from Vietnam, Poland, France, the US, Italy, China’s Hong Kong, Sweden, and Portugal, with Italian team Martarello S.R.L being crowned champions. With a string of activities held on the side lines of the two-month festival, the number of tourists to Da Nang reached approximately 1.6 million, up 25.54% compared to the DIFF 2017. Non Nuoc Cao Bang Geopark in the northern province of Cao Bang was declared a new member of the UNESCO Global Network of National Geoparks, under a resolution approved by the UNESCO Executive Board during its 204th session held in Paris, France, on April 12 (local time). The Geopark is known as a land of beautiful tourist sites, as well as cultural and historical vestiges, but was also a cradle of the Vietnamese revolution during the national resistance war against the French. A contemporary art space was inaugurated in the basement of the National Assembly House in November, displaying 15 art works by 15 contemporary artists. The artworks feature the artists’ viewpoints on the country’s cultural, architectural and art values set in the long-standing national history. The Ministry of Culture, Sports and Tourism announced a list of submissions for the ‘People’s Artisan’ title for the first time to honour outstanding artisans engaging in intangible cultural practices. With the good achievements of H'Hen Nie (top 5 Miss Universe), Nguyen Phuong Khanh (Miss Earth), Nguyen Minh Tu (top 10 Miss Supranational), and Tran Tieu Vy (top 30 Miss World), Vietnam ranked in the top five of the international beauty rankings for the first time in the Missosology page’s beauty ranking of countries in 2018. The ranking is based on the achievements gained in five contests - Miss Universe, Miss World, Miss Earth, Miss International and Miss Supranational. The Vietnamese sport team finished 17th out of the 45 countries and territories in the medal tally of the 2018 Asian Games (ASIAD) in Indonesia from August 18 to September 2, making it the most successful performance of the country at the continental sporting event. With 352 athletes competing in 32 subjects, Vietnamese athletes brought home four gold, 16 silver, and 18 bronze medals. The Vietnam national team won the ASEAN Football Federation (AFF) Suzuki Cup title on December 15, ten years after their maiden trophy in 2008. The impressive journey by the red-shirted men received much praise from football fans at home and abroad as well as domestic and international media. The AFF Suzuki Cup 2018 took place from November 8 to December 15 with 26 matches among 10 teams. Vietnam U23 Team wins runner-up position in the Asian U23 Football Championship, marking the first time a Vietnamese national team has advanced to the final of a continental championship. A total of 16 teams competed in the tournament, which took place between January 29-27, 2018 in Changzhou (China). 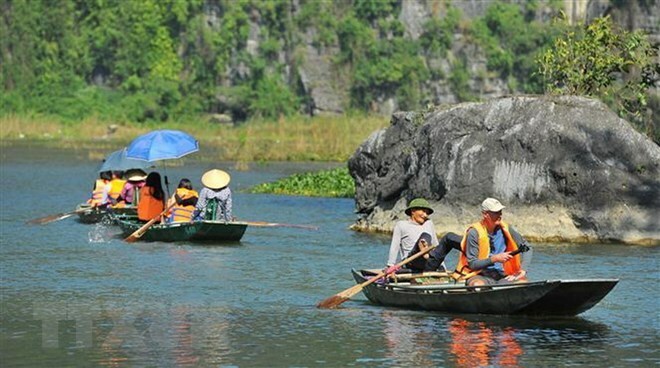 Vietnam tourism welcomed 15 million international visitors in 2018, a record in the 58-year history of industry development. Last year, the country was estimated to serve 80 million domestic travellers and earned VND 620 trillion (US$26.66 billion) in tourism revenue. Vietnam was named “Asia’s Leading Destination” for the first time at the 2018 World Travel Awards held in Hong Kong (China) in September, 2018. The important mark contributes to expressing the position and reputation of the "smokeless industry" in Vietnam on the world tourism map.